No statement required if blend contains more than 90% certified content. 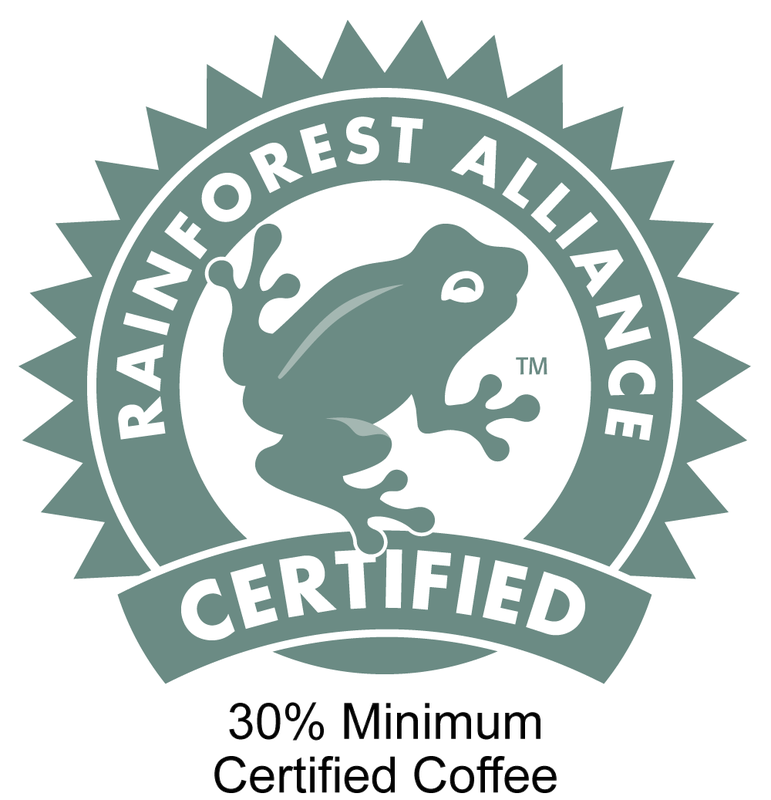 This page is for designer use only and will contain resources to help you meet all the label requirements for Masteroast coffee purchased from Rainforest Alliance Certified™ farms. If you do have any questions a contact form is at the bottom of this page, the question will go direct to our in-house design team who will be happy to answer your question. 1) Is the seal of a high enough resolution (vectors available)? 2) Is the seal a minimum of 3/4 inch (19mm) in diameter? 3) Is the seal on the front label with at least 20% of its width surrounding it? 4) Is the seal smaller than the main brand logo? 5) If the product contains between 30% and 90% certified content is this stated beneath the seal? 7) Once the design is complete send the file to the masteroast design team, we will then submit the artwork for final approval this could take up to five working days. 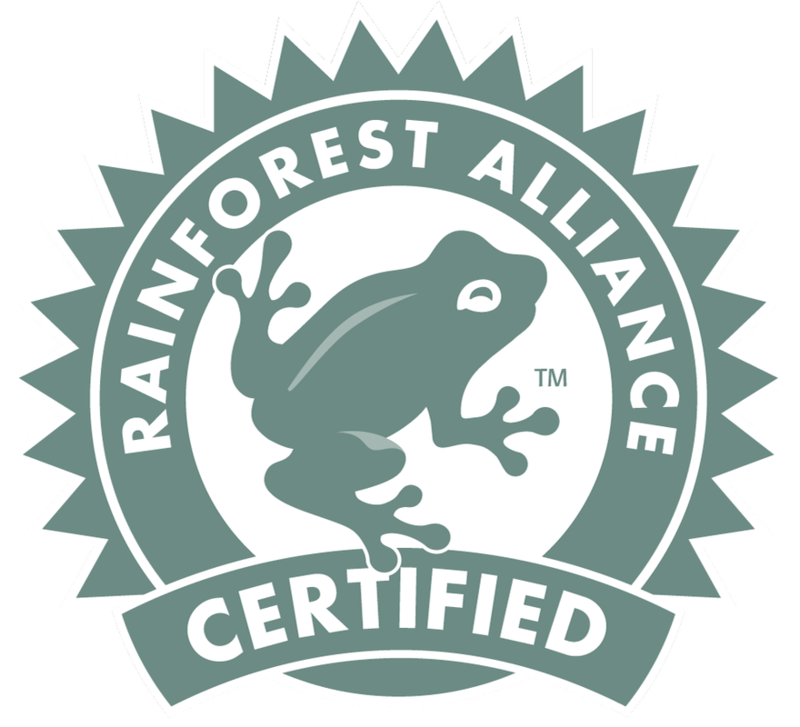 For further information download the Rainforest Alliance Certified™ Use of Seals Guidelines. 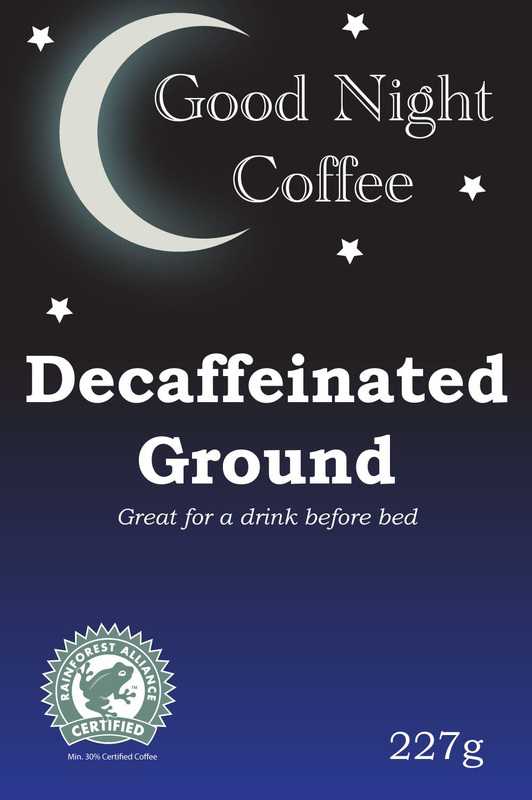 Alternatively visit the Rainforest Alliance Website. The text below can be no smaller than size 6. A clear space must be a minimum of 20% all the way around the seal.